Tal leads various trios as part of an ongoing performance residency at New York’s ‘Bar Next Door’, which featured musicians such as Caroline Davis, Dan Weiss, Eivind Opsvik, John Hebert and Tom Rainey. The trios perform his original compositions alongside loose interpretations of tunes by Paul Motian and Thelonious Monk. Additionally, he is currently developing a new solo program which integrates sampling and prerecorded material into the spontaneous live performance – unexpectedly combining multiple parts and soundscapes to maximize the element of surprise. A debut solo EP is set to be released early 2019. Yahalom is the winner of the 2015 Detroit Jazz Festival National Guitar Competition, 3rd prize winner of the 2016 Montreux Jazz Festival International Guitar Competition, scholarship recipient of the America-Israel Cultural Foundation and the Siena Jazz Foundation (IT), and has performed at notable music events such as the 2016 Bern Jazz Festival (CH) and the 2015 Alternative Guitar Summit ‘New Generation’ concert in Brooklyn. Besides his own projects, he is thankful to be a part of fruitful collaborations with Nick Dunston, Gaya Feldheim Schorr, Lisa Hoppe, Sagi Kaufman, Assaf Salhov and Gabriel Zucker, and to have studied with highly influential and inspiring teachers such as Richard Boukas, Shai Chen, Hal Galper, Tony Malaby, Bill McHenry, Andy Milne, Miles Okazaki, Gilad Ronen, Robert Sadin and Dan Weiss. 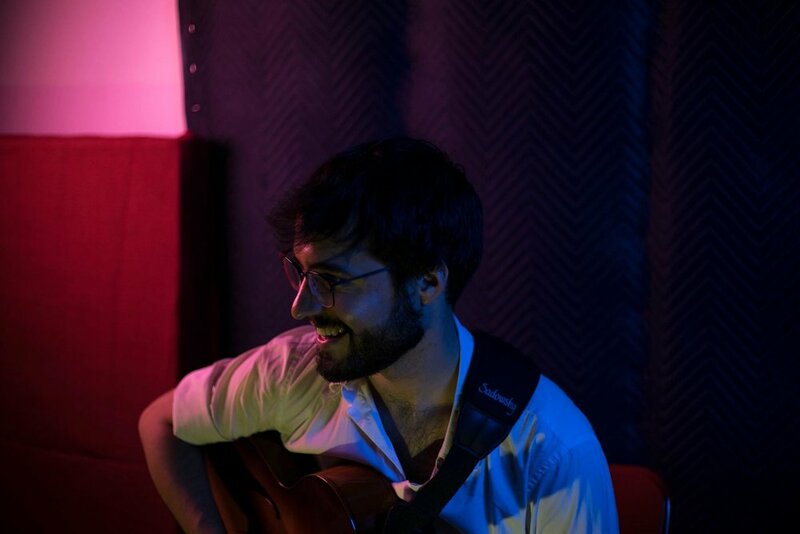 Traveling the borders of genre and style, guitarist and composer Tal Yahalom seeks to weave a wide spectrum of aesthetic elements into a distinct musical language – committed to engaging storytelling and attentive interplay. Born in Israel and based in New York City since 2014, Yahalom has been exploring and fusing the worlds of hard bop, alternative rock, free improvisation and impressionistic classical music. Looking to expand the sonic and textural vocabulary of the guitar, he pursues unconventional, creative ways of instrumental playing – both acoustically and through a flexible array of effects. He is drawn to the elusive balance between composition and improvisation, clarity and mystery, the subtle and the intense. KADAWA performs regularly at many of NYC’s finest venues, and has toured internationally across Switzerland, Germany, Spain, Italy, Holland, UK and Israel. The band released its debut album in October 2017, and since then collaborated with John Escreet, Jon Irabagon and Adam O’Farrill, while working on the production of their 2nd album, to be released in summer 2019.